Even if you are the best housekeeper, over time your home’s curtains will need cleaning due to the gradual accumulation of dust and even airborne grease wafting from the kitchen. This can sneak up on you over the months until one day you realize that your valued guests are about to arrive and will see that your curtains are dingy. Fear not: professional service is on the way from the drapery experts of Creative Window Coverings! It doesn’t matter if you purchased your soft draperies from someone else; we are happy to restore them to their original brightness at a reasonable price, giving you the best curtain cleaning in Nassau County. From our assessment of your curtain’s fabric to results you will love, Creative Window Coverings streamlines the cleaning process for you. Our curtain cleaning pros will inspect and test the material of your soft draperies in order to determine which method, wet or dry, is best to renew them to almost pristine condition. When you hire us for your home’s curtain cleaning, we will use state-of-the-art equipment with no damage, such as shrinkage, to your window treatments, plus we promise fast, courteous service that won’t make a mess in your home. It will be like we were never there except for your dazzling draperies. Visitors will think you just bought new! How Often Should You Have Your Curtains Cleaned? It is always best to be proactive and preventative in your household cleaning rather than react to problems when it’s too late. Therefore, we recommend regularly having your draperies cleaned every 2 years even though dirt may not show on them for 5 to 6 years. Whether anyone in your household smokes is a contributing factor to consider, as is your home’s heating system. Direct sunlight is not to blame for the deterioration of your curtains’ fabric; oily residue is. Regular maintenance can triple the life of your draperies. 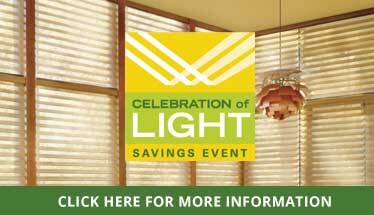 Why wait when you can have eye-catching, like-new window treatments now? Trust Oceanside, NY’s curtain cleaning pros with your home’s appearance. Call us today! Always remember: no matter where you bought your draperies, we’re here to help.